*Available on select Intermediate & Professional Models as noted on our website. 1800USABAND.com & taylormusic.com are the official websites for the ECommerce Division of Taylor Music, Inc. located in Aberdeen, South Dakota. I understand all terms and agreements relating to this contract are with Taylor Music, Inc. I understand the monthly payment is the same for the entire length of the contract which is 10 months. At the end of the 10 month period, assuming my payments are up to date, my account will be Paid In Full. Your satisfaction is our top priority. If you find anything not to your liking, return the item to Taylor Music within 30 days from date of contract to cancel (return shipping costs are nonrefundable). Instrument must be returned in the same condition as when received. Link to UPS for easy instrument return shipping process www.ups.com. I understand my instrument will be shipped by UPS Ground FREE within the continental United States. For the items that qualify for Free Standard Shipping this applies only to shipments within the Contiguous US. Regular shipping rates will apply to shipments sent to APO/FPO, Alaska, Hawaii, Guam, Puerto Rico and Virgin Islands. Any expedited shipping methods such as UPS 2nd Day Air will be additional. I understand instrument repairs will be done at NO CHARGE at Taylor Music, Inc. location during the 12 month period. (I pay mailing costs in. Taylor Music pays costs back out.) Link to UPS for easy instrument repair/overhaul shipping process www.ups.com. I understand a coupon book will be mailed to me showing the payment amount due and due date for each month. You may choose automatic credit/debit card payments or payments by check or money order. Payments are to be received by the 5th of each month. Automatic payments are drawn on the 5th of each month. Checks are to be payable to Taylor Music, Inc. and mailed to: Taylor Music Inc, 513 South Main Street, Aberdeen, South Dakota 57401. 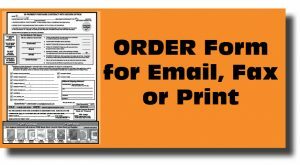 If you have any questions regarding your order, please feel free to contact us at 1-800-872-2263.